On 20 April 2017, the Australian Government’s proposed legislation to strengthen the requirements for citizenship – the proposal has now been killed off in the Senate on 18 October 2017. 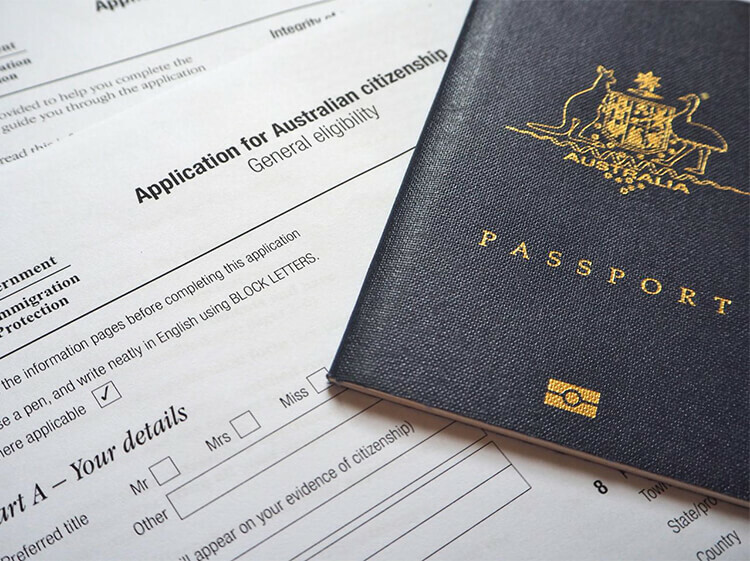 As a result, Citizenship applications submitted before, on or after 20 April 2017 are now being assessed against the current requirements for residence. However, changes may affect applications lodged after 1 July 2018. 1. No IELTS/English requirement, hooray!! 1. You can vote: As an Australian citizen, you can vote in any election. This will give a sense of participating in shaping the country’s future. 2. You can serve on a jury: Jury duty is a sort of civic lottery that most Australians win at some point in life. It’s part of the citizenship deal, you are enrolled to vote and you get called up to sit front at the court! 3. Preference for jobs in the federal government: Most of government jobs require you to be an Australian citizen. 4. Awesome Australian passport: With Australian passport, you can travel 170 countries without a visa! 5. HELP assistance: You can get HELP access for your further study with Australian citizenship. 6. Your kid will be Australian citizens: Whether your child was born in or outside of Australia, you can make them Australian citizen. 7. Adopting a child: In order to adopt a child in Australia, some states require that one (or both) of the parents to be Australian citizen. 8. Stay in Australia forever: You don’t need to renew your visa to stay further, it’s indefinite with Australian citizenship! 9. New Zealand: Or move to New Zealand! Australian citizens have the right to move permanently to New Zealand in most circumstances. IMPORTANT NOTE – If you apply on or after 1 July 2018 (subject to the passage of legislation), the new requirements for Australian citizenship will take effect including 4 years permanent residence instead of 12 months plus English language test. Are you eligible to apply for Australian Citizenship NOW? We strongly recommend that you apply for your citizenship prior to 1 July 2018 to avoid any proposed changes. Please contact us immediately at 1300 188 999 to book a consultation with one of our registered migration agents in Melbourne!